Ralph and Vanellope play nice with Milo. BAPE and Disney’s Ralph Breaks the Internet has come together for an official collaboration that sees characters Vanellope and the titular Ralph adorned on hoodies and tees alongside Baby Milo. 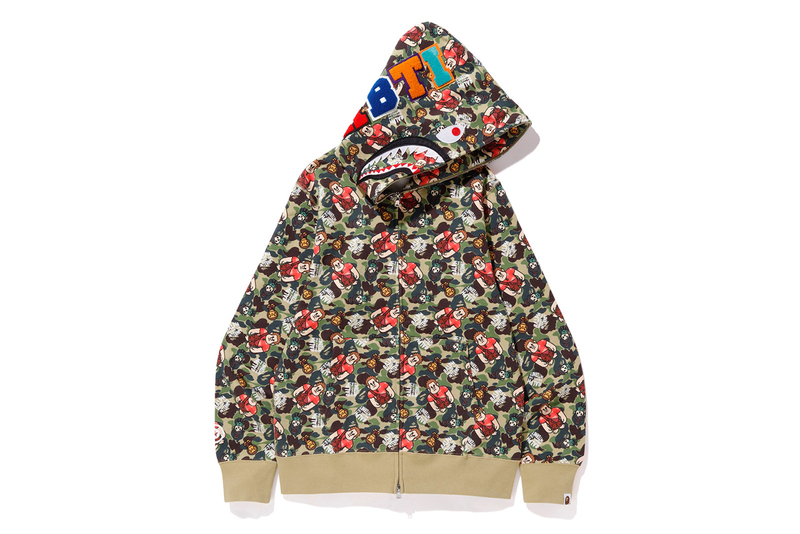 The playful collection features two hoodies, one with the films two protagonists featured prominently in the center enclosed within the film’s name in both black and grey hoodies, alongside another piece that sees the two and Baby Milo scattered across a shark hoodie with classic BAPE camo. The other six tees feature the three characters standing alongside each other or paired off with Milo. One of the tees even features the same circular graphic as the black and gray hoodies. There’s also a tote bag and a cushion available. Check out the collection in full above and grab your favorites when it arrives December 1 on BAPE’s webstore and retail locations. In related fashion news, Kanye just dropped new Wes Lang-designed longsleeves. Could Raf Simons be in hot water? Kodak pours out his heart. The Blumhouse sleeper hit has returned for seconds. A 17-minute sample of the upcoming album. Directed by Nabil and featuring Gunna as his co-star.